We all need a little help from time to time. Sometimes we need advice, sometimes we need a warning. That’s why I created the Timeshare Doctor section of my website. Come to me for the best timeshare advice and you will find out the truth about your timeshare membership before you hand over your money. Today I will be providing advice about Garza Blanca Timeshare. I have been working to support clients against timeshare scams for the past 10 years. I dedicate my time to following up on scams that my clients inform me about as well as research timeshare scams that I find mentioned in timeshare forums. You will be surprised at how many scams mentioned in timeshare forums are indeed scam themselves to promote fraudulent timeshare cancellation services— but more about that later in another article. In addition to researching scams, I also spend time researching genuine timeshare companies to determine which ones are the best deal. I have to admit, from time to time I come across timeshare companies that are out and out scams, but this is very rare these days as governments are hot on the trails of these kinds of scammers. Most timeshare scams can be distinguished easily as they pop up overnight with no history. 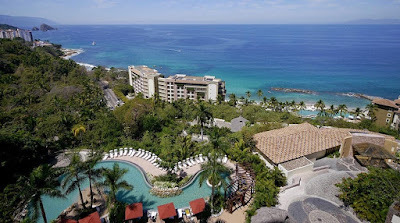 This blog post is dedicated to Garza Blanca timeshare. For information about other timeshare companies, search the sidebar for the timeshare operator you are looking for. Firstly, if you are here on this site looking to see if Garza Blanca timeshare is a scam, you are in luck. Garza Blanca timeshare is not a scam. This timeshare membership finds itself within the luxury bracket when it comes to vacation ownership. Membership entitles you to access five-star resorts in Mexico as well a eligibility for membership with RCI (at the time of writing this article, you are given free introductory membership when you first purchase for one year). Garza Blanca timeshare is also a points-based membership, which gives you freedom as to how long you spend at one of the group’s resorts. With points, you don’t have to stay for a whole week (unless you wish to) nor do you have to stay in the same kind of suite each time. On one vacation you can book a small studio for a weekend while another time you can use your points to stay a week with the whole family in a two bedroom apartment style suite. The choice is yours so long as you have enough points to cover your vacation. Another advantage of Garza Blanca Timeshare is luxury. This really is a high-end vacation ownership product that is leaps and bounds over the traditional timeshare model. In fact, the company does not use the word timeshare to describe itself, it uses the words “residence club,” which is exactly what it is. Finally, one of my favorite advantages of this membership is that you can evolve with it. There are plenty of ways to upgrade your membership to suit your needs, including an Elite tier of membership that offers even more exclusivity. Disadvantages of Garza Blanca timeshare are few, though the main drawback may be your budget. As I mentioned before, Garza Blanca timeshare is a luxury membership, meaning it is not cheap. Great value for money but not cheap. Garza Blanca timeshare is a specialist in Mexican vacations, so if you want to travel around the world, you will need to use the services of RCI in order to swap your timeshare time at a Garza Blanca resort around the world. What is your verdict? Add your advice about Garza Blanca timeshare in the comments box and become a timeshare doctor’s assitant!